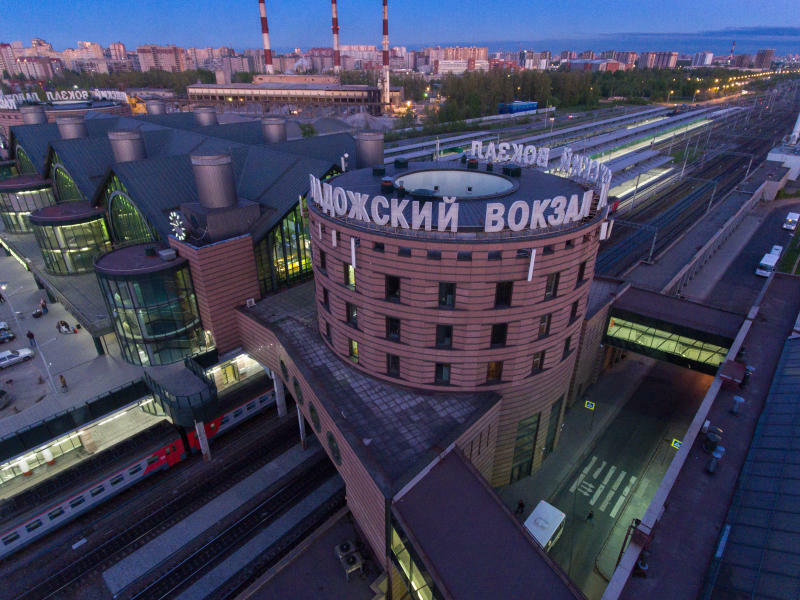 Moscow railway station is the main train terminal of St. Petersburg. It is located right in the center of the city, on Vosstaniya Square. The nearest metro stations are Ploshad Vosstaniya (the red line) and Mayakovskaya (the green line). The terminal serves the following directions: Moscow, North of Russia, the Urals, South of Russia, Novgorod, Central Asia, Caucasus and Crimea. The Moscow train station in St. Petersburg was built in 1851 by architect Konstantin Thon under decree of Nicholas I of Russia. Vitebsky railway station is located near Pushkinskaya metro station (the red line). The trains directions include South-West Russia, Belarus, Ukraine, Moldova, Central Europe and St. Petersburg suburbs such as Pushkin and Pavlovsk. 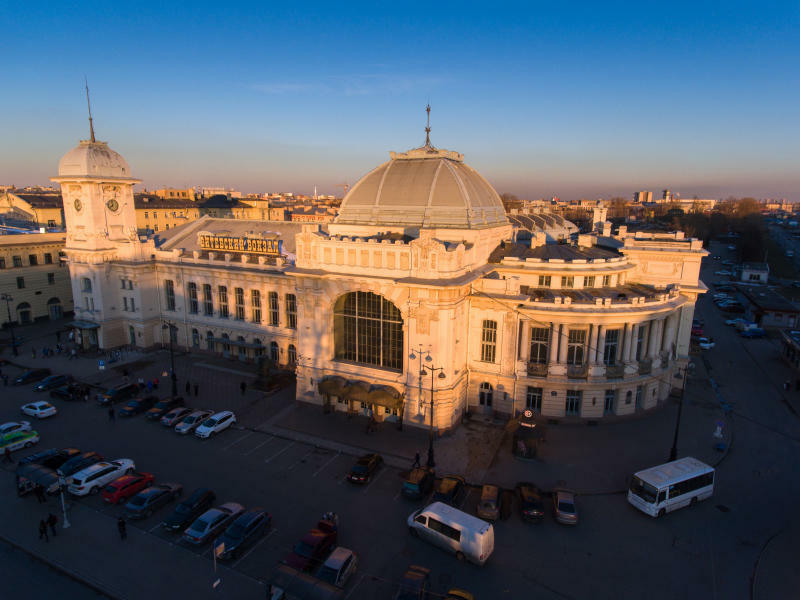 Vitebsky rail terminal was constructed by architect Konstantin Thon and was opened in the presence of Nicholas I of Russia on 30 October 1837. Initially the station was named the Tsarskoe Selo Station. A replica of the first Russian train that departed from the platform of the station for the imperial residence at Tsarskoe Selo may be seen as a permanent exhibit at the modern Vitebsky railway station. 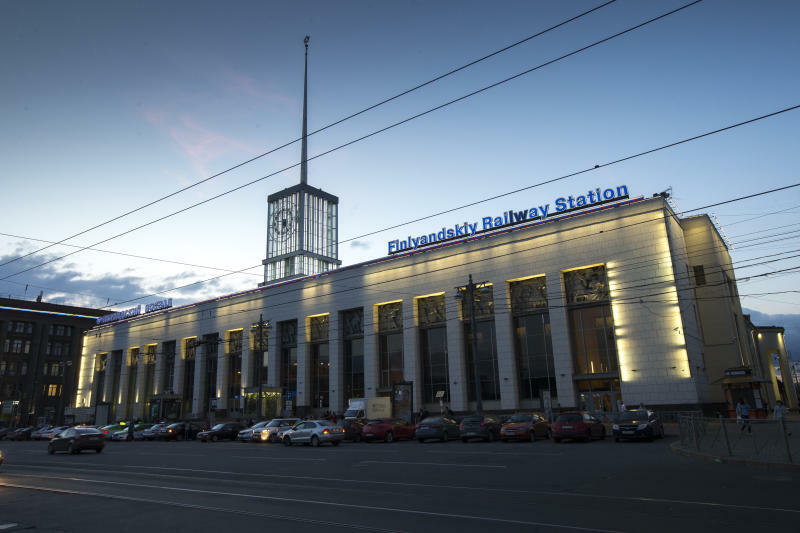 Ladozhsky railway station is the newest and the most modern train terminal of St. Petersburg located on the east bank of the Neva River, near Ladozhskaya metro station (the orange line). 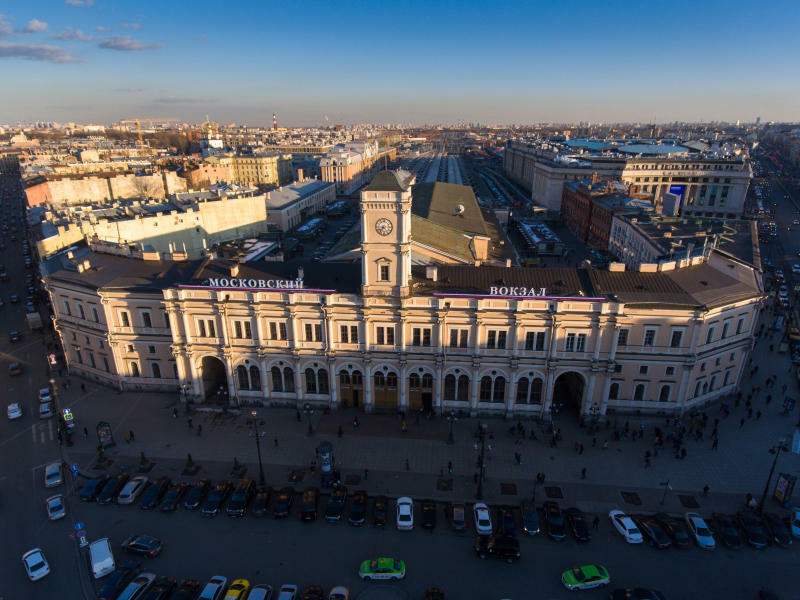 The Ladozhsky rail terminal was opened in 2003 for the 300th anniversary of the founding of St. Petersburg. The station serves Northern Russia, Urals, Kazakhstan and Finland. Finland railway station is located next to the Ploshchad Lenina metro station. The terminal is historically interesting. In 1917 before the October Revolution Vladimir Lenin arrived at the station and gave a historic speech from an armored car. The station operate local directions such as Vyborg, Repino and Zelenogorsk. The high-speed Russian-Finnish train Allegro also departs from this station.